Born and raised in the San Francisco Bay Area, Joanne has always been exposed to food - from watching her Inang cook traditional Filipino dishes in their home kitchen to sampling gourmet treats at her mother's workplace in the City to even choosing cooking shows on PBS over the Saturday morning cartoons. 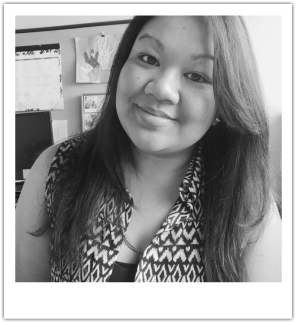 Throughout her educational years, Joanne participated in Filipino-American organizations that connected her with roots. Following college, Joanne began a personal food blog chronicling her food adventures within the Bay Area and wherever the travel bug lured her. It was a trip to the Philippines after a ten-year hiatus that made her see the beauty in the culture, history, and of course the food. Inspired by this trip, she made Filipino food her focus and formed Filipino food-centered entities, such as "kapaMEALya" - a social dining group which hosted pop-up dinners and "Project:Adobo" - a weblog featuring recipes of the Philippines' National dish created by chefs and cooks from around the world, as well as became involved in various Filipino events in the community. As a freelance food writer, she wrote articles for various media outlets such as CBS SF Local, Pinchit, and SF Station's YUM!. The Filipino Food Movement was formed in 2012 and she was invited to be a contributor for the social media outlets as well as be the lead chef liaison for "Savor Filipino" in 2014. She served from 2013-2018 as Board Vice President and a member of FFM's Advisory Board. JBKollaborations is her current passion project and a creative outlet through which she is proud to share the talents, stories and dishes of those in the Filipino food industry. The JBK mission is to enrich the community through culinary-heritage based initiatives. Filipino Young Leaders Program (FYLPRO): Every year, FYLPRO works with the Philippine Embassy and the Consulates General in the United States to search for the 10 most outstanding, next-generation Filipino-Americans or Filipinos in the United States to participate in its distinguished Immersion Program in the Philippines. Legacy Project - The idea of JBKollaborations developed during a trip to the Philippines - thanks to the Filipino Young Leaders Program (FYLPRO). I was inspired to create my own brand and to work on my goals here in the United States using the knowledge I gained in the Philippines.